This little three-sided parcel of joy can be spread on a piece of toast or simply eaten as a quick snack! 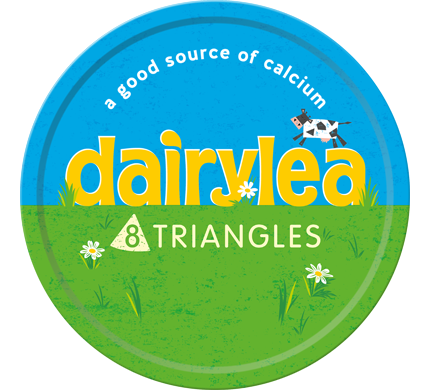 Dairylea Triangles are yummy, creamy and made without any artificial colours, flavours or preservatives. 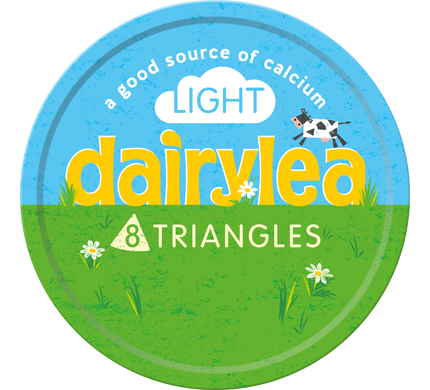 Available in packs of 8 and 16 triangles. skimmed milk (water, skimmed milk powder), cheese, milk fat, skimmed milk powder, stabilisers (citric acid, sodium carbonate), milk protein, whey powder (from milk), inulin, emulsifying salt (triphosphate).